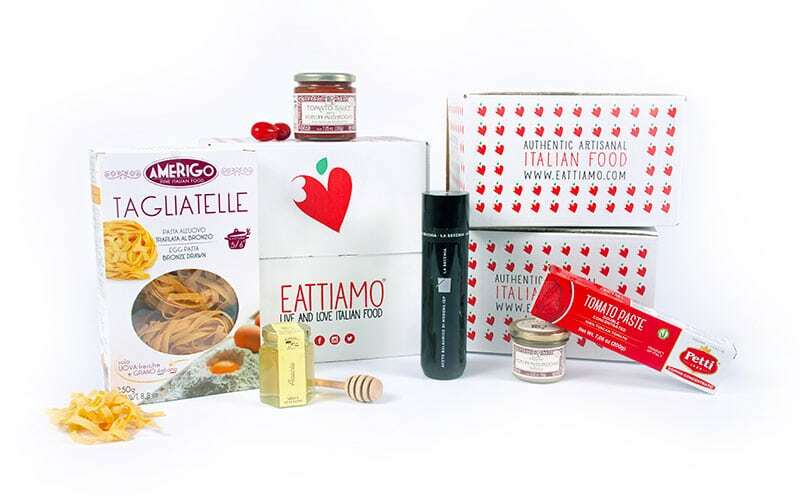 Emilia Romagna region is literally the kingdom of Fresh Pasta prepared with eggs. 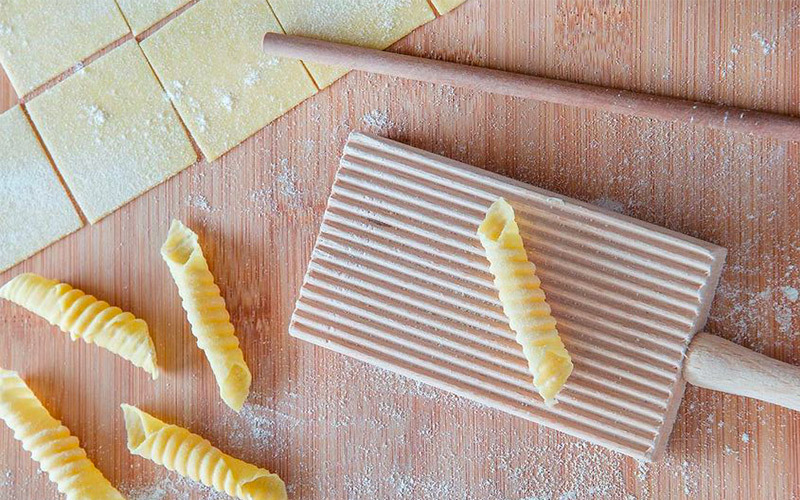 Most of the Pasta types of this region are based on pastry sheets made of flour and eggs, with dark eggshell and bright yolk, to obtain a beautiful golden pastry sheet. Here a list of all the most traditional types of pasta still prepared by Italian nonnas. 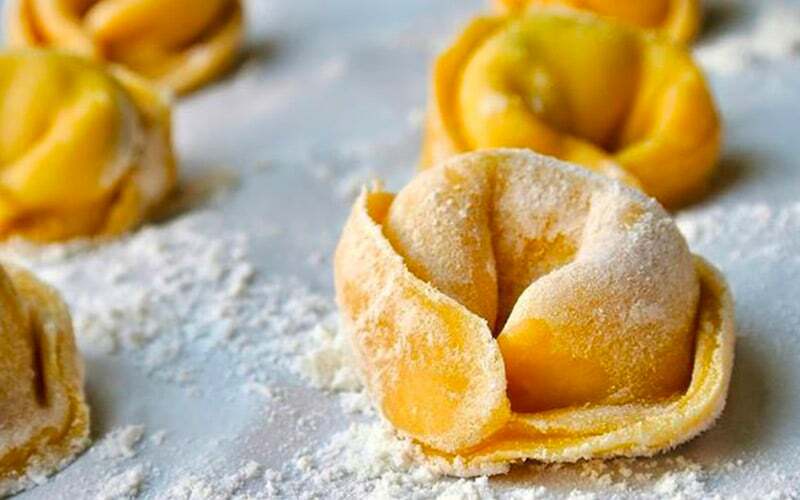 Typical from the center of Emilia Romagna region, the real recipe of Tortellini is a point of contention between the cities of Modena and Bologna. It starts from squared pastry sheets with a small ball of stuffing in the center. Once folded with triangular shape, the ends are rounded up around index finger. The Tortellini stuffing can be different, but meat or pork has to be the main ingredient. Known all around the region, Passatelli is a typical poor dish, prepared by farmers with just three ingredients: eggs, Parmigiano cheese and breadcrumbs. Once prepared, the mixture is spaghetti-shaped and cooked in broth. Garganelli are short pasta pieces similar to penne but made of flour and eggs and sometimes added of Parmigiano Reggiano cheese and nutmeg. Their best dressing is a sauce made of peas cooked in butter and tomato but they can also be eaten in soup. Aside from tortellini, Balanzoni are another stuffed pasta shape typical form Bologna. They are similar to tortellini but they are bigger and pastry is green because made of spinach. They were made using the remaining of tortellini preparation so filling can be the same or a mix of ricotta, basil and spinach.